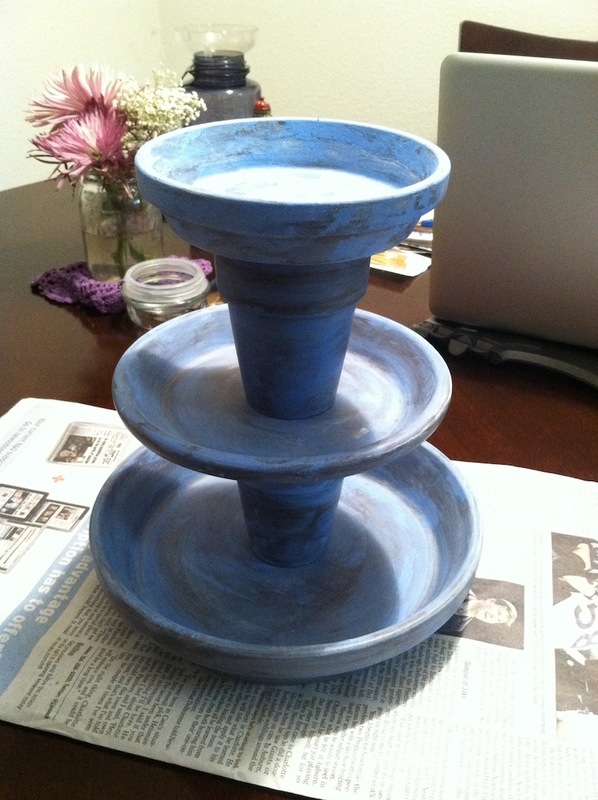 For the longest time, I have wanted to recreate the Terra Cotta Jewelry Tower that I saw on Pinterest probably 6-8 months ago. On the night that I hit a snag trying to do another project, I decided to do this one instead. I first saw it on this blog. I have since seen the same project done in different color varieties, but I still like the one I made the best. It just looks like it could go with anything and anywhere, you know? I have other ideas for it, though, so see below for that. 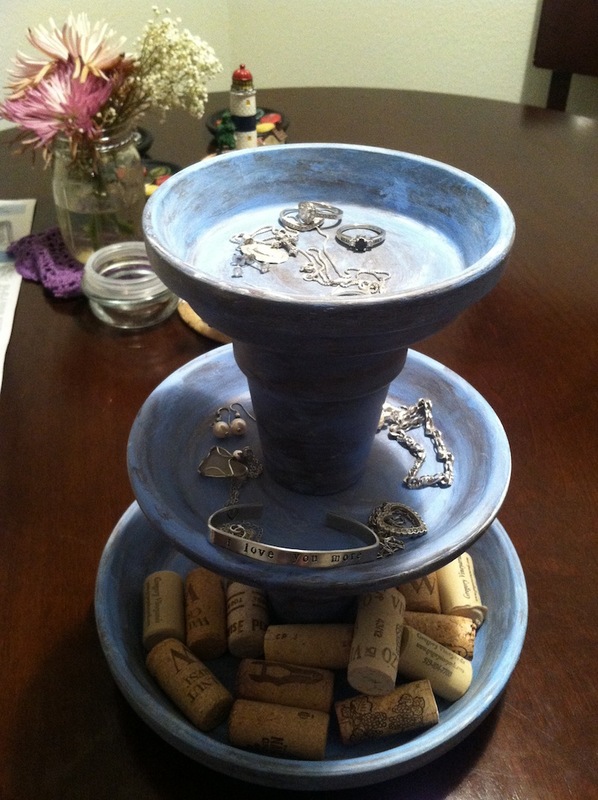 Anyway, here’s how I made a jewelry tower/decorative piece out of terra cotta planter pieces. I got everything from either Michaels or Wal-Mart. 1. 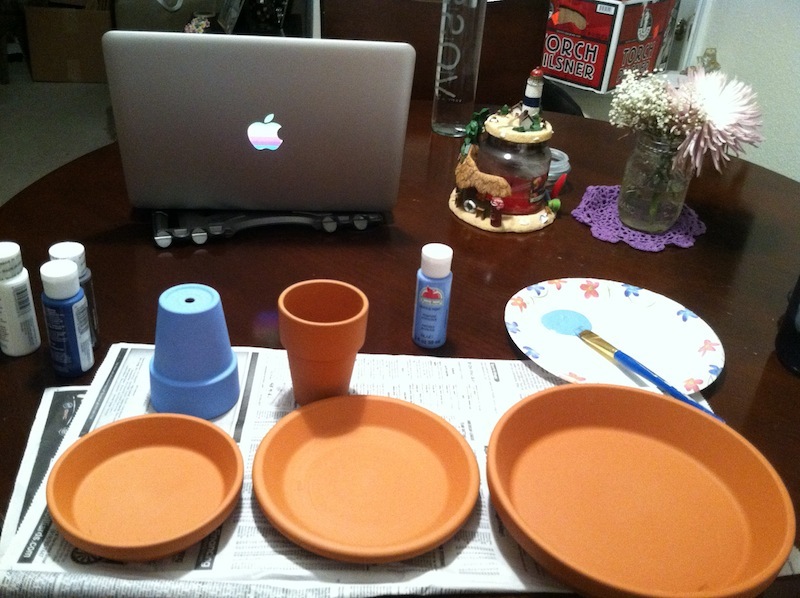 Paint each terra cotta piece the color you want. Decorate as you wish. I painted mine light blue and wanting to make it look “antique,” I followed the instructions on the video below in order to do so. 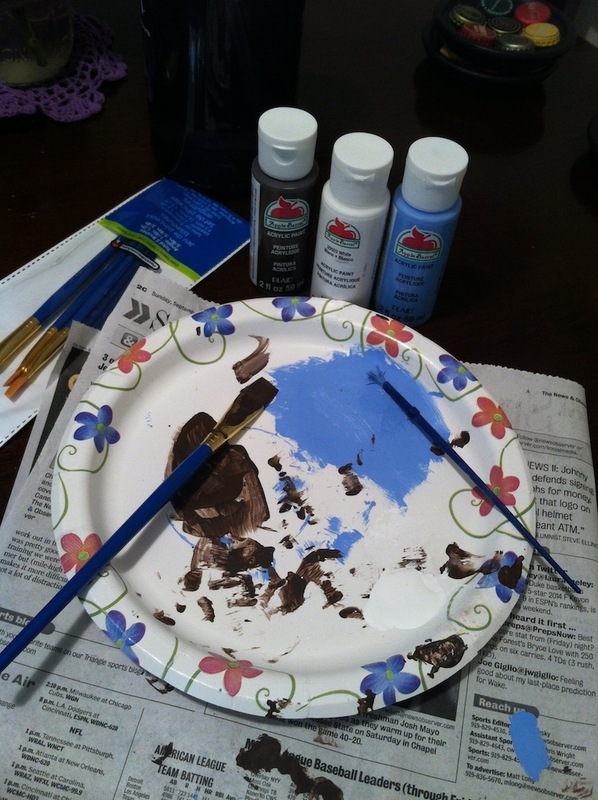 It took me a little while to get the hang of how she did it (it seems counterintuitive, but the more brown you put over the base color, the easier to wipe it off). 2. Glue each piece as it belongs in the tower. 3. Spray with a finishing coat. I suppose this step is optional, though. I am also going to put cork on the bottom of mine because I do that for everything, haha. Note: I’m not entirely sure if I’m going to use it as a jewelry holder or not yet. I was experimenting with using it as a decorative piece for my future new living room, hence the wine corks in this picture. I may even drill holes in the saucers and make it into a fountain, but that’s a project that I have to give me thought to. 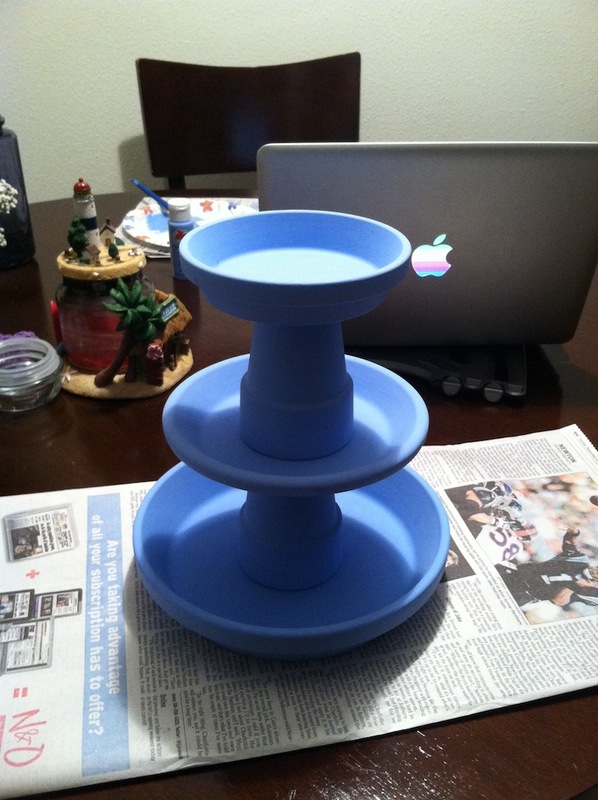 Anyone else try making this or have any ideas on what I could use it for other than a jewelry tower? Let me know in the comments!